No need to walk 2 dogs with 2 leashes, now use 1 leash! Our couplers designed to keep you and your pets protected. 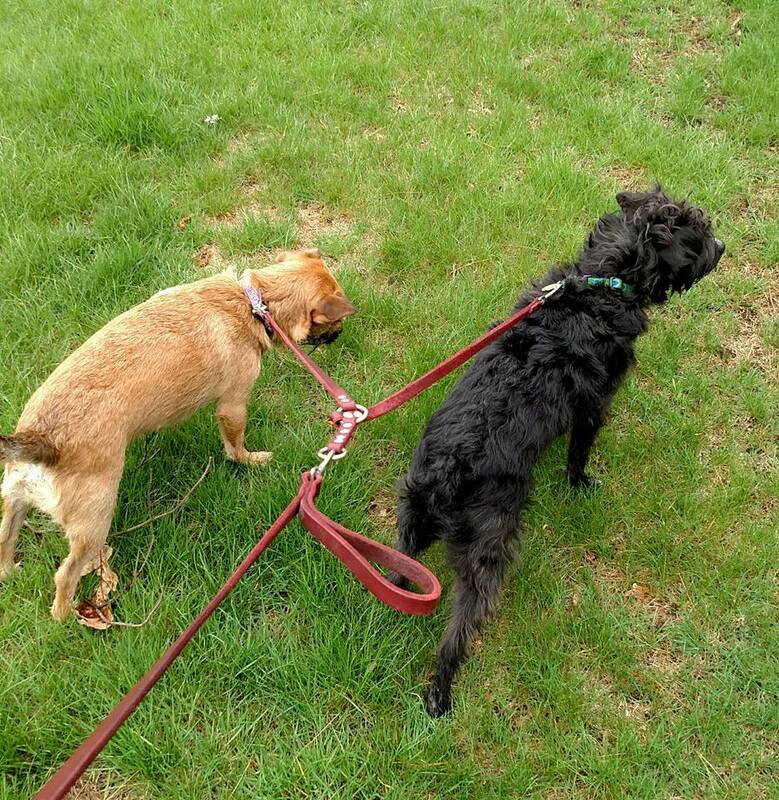 Use a coupler to walk 2 dogs with 1 leash. Choose the length and width of the leash based on the size of the dogs and how much room you want to give them. The shorter the lead the closer the dogs will be. Smaller dogs generally would use a 1/2″ – 5/8″ width where large dogs you can choose from 5/8″ to 1″. Have 3 dogs? Contact us directly and we can make a 3 dog coupler. Are you dogs different size? Maybe a small dog and medium size dog. We can custom make a coupler to suite your needs. We are just an phone call away or email us with your request. 12", 15", 18", 24", 6"